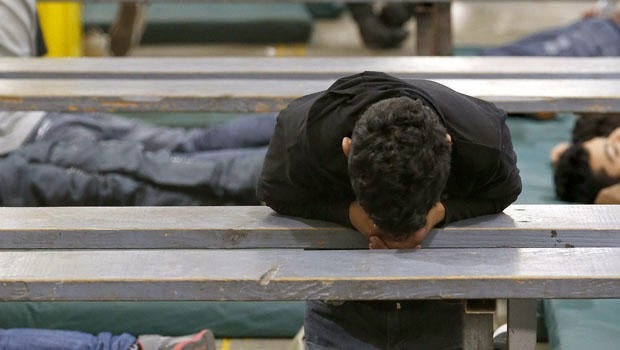 Unaccompanied Children at our Borders: Can Museums Help? The theme of the Alliance 2015 conference is Museums and Social Value. Leading up to that meeting in Atlanta, CFM will be hosting a number of guest bloggers addressing various aspects of museums and social justice. Last month, Robert Janes led off with a post on museums’ role in addressing social and environmental threats. For our second post in this series, Gretchen Jennings, who has blogged for several years about the need for “empathetic museums,” volunteered to address an issue currently getting much attention in the press: undocumented, unaccompanied children crossing the US border. Why should this question be raised? In a quick and unscientific poll of other museum professionals, especially those who work with children’s museums or with refugee groups, I find that I’m not alone in asking “what role, if any, should museums play in this national crisis?” But as Elaine Gurian and others have observed, museums are not noted for (nor expected to have) immediate responses to current events, and history museums in particular pride themselves on developing reasoned analysis with the passage of time. There is little in our traditional structures that lends itself to timely responses to current situations. If we museums want to become more actively involved with our communities, especially in our fast-paced global society, we may have to develop a new process and timeline for being responsive. However, while the issue of undocumented, unaccompanied children is one that may seem to have appeared suddenly, it actually has deep roots in many of the communities we serve. And this situation, while most urgent at the border, is gradually and inexorably moving into the entire country as groups of children are being taken in by humanitarian groups in other states. It seems to me that museums might help the country to address this issue in two ways: by providing humanitarian assistance in collaboration with experienced agencies already working in the field, and by fostering discussion and dialogue in a safe and structured environment. Staff and volunteers with bilingual skills. Collaborating with other relief organizations could help museums effectively deploy their resources within existing structures for aid. The Houston office of the Children’s Defense Fund recommends working with humanitarian organizations such as the Red Cross or Catholic Charities that are already on the scene. They also recommended contacting staff of the members of Congress working on this issue. Museums might also identify and partner with other local nonprofits that provide aid to immigrants. Funders such as MacArthur and the Ford Foundation that already support such efforts might be willing to provide support to add museum assistance to this mix as well. on her own with her beloved gallo (rooster) in hand. Museums located in areas where immigrant communities are large and growing no doubt serve audiences with varying views on how and even whether the U.S. should continue to accept and process immigrants in general and these children in particular. Museums considering involvement either in collaborative work with humanitarian organizations or by initiating dialogue and discussion about this dilemma may face strong opposition from their boards and/or members. This is, it appears, the price of taking on almost any difficult topic, whether it is controversial exhibition content or, as in this instance, linking mission, collections, and programming to complex events in the civic sphere. In deciding whether and how to play a role in either helping the children caught in this terrible situation, or in taking the lead in fostering discussion about immigration policy per se, a museum should be guided by its mission, and by the best judgment of its staff and board. I am sure there are as many opinions among us museum folk as there are in the communities we serve. Your thoughts and comments are welcome. Also any specific experiences such as the one shared by the Museum of Folk Art in Santa Fe would be so helpful. I look forward to the conversation. Gretchen has worked in museums for over 30 years as an educator, administrator, and exhibition project manager. Since 2007 she has served as Editor of Exhibitionist, the journal of AAM’s National Association for Museum Exhibition. The opinions she expresses in her blog and in this guest blog are her own and are not presented in any official capacity. You can find her posts on the need for and the qualities of The Empathetic Museum at Museum Commons blog. She can be contacted at gretchenjennings@rcn.com or on Twitter @gretchjenn.